A new study published in the Astrophysical Journal has created a controversy of sorts among cosmologists and astrophysicists. New observations suggest that the rate at which the universe is expanding may be different depending on how far back we look at distant stars and galaxies. 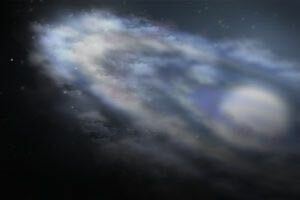 Two contradictory sets of data have emerged, one coming from measurements of the Cosmic Background Radiation in the universe and one from measurements of pulsating stars in nearby galaxies. While the rate of cosmic movement is now being debated within the scientific community, one fact is clear, and this simple truth has profound implications: The universe is expanding. Scientists have known this for many years, and most consider it to be an important piece of evidence demonstrating that the universe had a beginning. To illustrate the strength of this evidence, imagine drawing a random assortment of dots on a balloon and slowly inflating it. As the balloon grows and expands in size, the dots will begin to separate from one another. Astronomers observe something similar when studying our universe. Stars and galaxies are moving away from one another, just like the dots on the balloon. As astronomers and cosmologists imagine rewinding the cosmic clock, the most reasonable inference is that the expansion of the universe (like the expansion of the balloon) had a beginning. 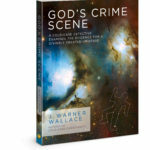 In addition to the expansion of the universe, scientists point to the Second Law of Thermodynamics, the abundance of Helium in the universe, and the existence of Cosmic Background Radiation to support their conclusion that the universe had a beginning (I’ve written much more about this scientific evidence in God’s Crime Scene). Based on this evidence, most cosmologists and astrophysicists embrace what has become known as the Standard Cosmological Model for the origin of the universe, commonly referred to as “Big Bang” Cosmology. According to this model of cosmic origins, everything we observe in the universe – all space, time and matter – the very attributes we ascribe to the natural realm – came into existence when our universe first began. Think about that for a minute. Before our universe came into existence, nothing existed. Nothing. No time, no matter and no space. Nothing. This singular truth about the universe exposes an even greater mystery. The long-established (and accepted) Principle of Causality dictates that whatever begins to exist requires a cause. If our universe came into existence from nothing – and that certainly appears to be the case – it had a cause, and not just any cause will do. As the rate of expansion in our universe is now being debated and calculated by cosmologists and astrophysicists, a greater mystery looms. What kind of all-powerful, non-spatial, non-temporal, non-material (extra-natural) cause can account for the universe we live in? What kind of first cause can also account for the fine-tuning we see in the cosmos, the origin of life, the appearance of design in biology, our experience of consciousness and free-agency, the existence of objective moral truth, and the objective standard by which we judge and identify evil? We can (and should) investigate the rate at which our universe is expanding, but let’s not miss the more important finding: The expansion of the universe infers a beginning, and beginnings require a cause. The expanding universe points to the existence of a first-cause outside space, time and matter. That’s a mystery all of us would like to solve.